You can help SFDCF in a variety of ways. We are seeking one time and ongoing donations to help support our first responders. 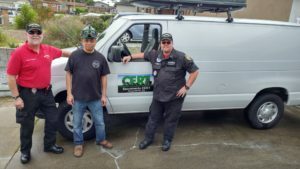 In 2017, the Sacramento Fire Department and Community Foundation received a generous donation of a 2013 Ford E250 cargo van for use by the Sacramento Fire CERT program. This wonderful van came complete with a service and maintenance plan and with less than 3,000 miles on the odometer! This vehicle is a huge asset to the CERT program, most recently being used to help transport critically injured/burned animals at the Camp Fire in Butte County. Each year we must raise funds to provide insurance on the van. Current estimates are running between $1,600 and $2,400 per year to insure. It is important for public safety agencies (such as law enforcement, emergency medical services, and fire services) to be able to provide and maintain communications before, during, and after a disaster or emergency. Disasters may require resources beyond what local and state authorities can manage. Volunteer groups such as ARES (Amateur Radio Emergency Service), RACES (Radio Amateur Civil Emergency Service), and CERT (Community Emergency Response Teams) are often called upon to fill the gap and provide emergency communications support during disasters and large scale emergencies. Sacramento Fire CERT is an all-volunteer group trained by the Sacramento Fire Department to provide support to public safety and service personnel in the Sacramento region, as well as anywhere in California if requested. Members undergo a minimum of 68 hours of intensive training to become a deployable member of the team. Some members take an additional 57 hours of Emergency Medical Responder training to provide advanced medical support during disasters. Sacramento Fire CERT provides services for search and rescue, utility control, disaster medical services, logistical support, communications support, and shelter support during disasters. To be the best asset we can, we are in need of assistance to improve our communications abilities in the field – which brings us to our GoFundMe campaign. Sacramento Fire CERT would like to purchase a “PodRunner” unit to house our various radio components into one portable unit. This unit is lightweight, can be connected to nearly all of our vehicles via a standard hitch mount, is narrow enough to be rolled through doorways, and can even fit in many elevators. 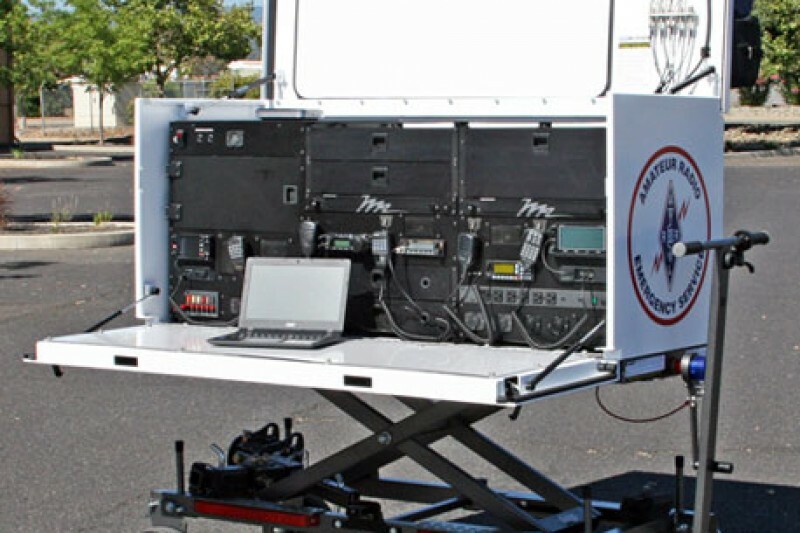 This unit will give Sacramento Fire CERT the ability to mount 8 different radios in one portable unit, allowing us to communicate over various bands, and acting as a hub for first responders if their radio networks are disabled. We have the radios, we just need the means to easily consolidate them into one unit that is versatile and portable. Please help us raise funds to purchase the PodRunner unit. Your donation will help victims and first responders respond to and recover from disasters across California. The Sacramento Fire Department and Community Foundation supports Sacramento CERT and the Sacramento Fire Department in providing services that go outside of normal fire department activities. Every year Sacramento CERT sets up a personal flotation device (life jacket) loaner station at Tiscornia Beach in Discovery Park, helps inform the public about our area life jacket law (all children under the age of 13 must have a life jacket on when in the water), and assists with first aid at the beach. You can help by donating to the SFDCF to help cover the costs of replacing life jackets that are too old or not returned. You can donate directly to the Sacramento Fire Department and Community Foundation through a PayPal donation. The Sacramento Community Emergency Response Team is an all-volunteer organization whose mission is to educate citizens of the Sacramento Region in disaster preparedness and to assist California’s first responders in the event of a large-scale emergency. Historically, Sacramento CERT funding came from federal and regional grants obtained by the Sacramento Fire Department and the Sacramento Regional Citizens Corps Council on our behalf. Federal funding for CERT has stopped, forcing programs to find other sources to support operational budgets. Although our dedicated volunteers donate thousands of hours each year for the benefit of the Sacramento Region, effectively carrying out our mission still requires equipment and supplies. 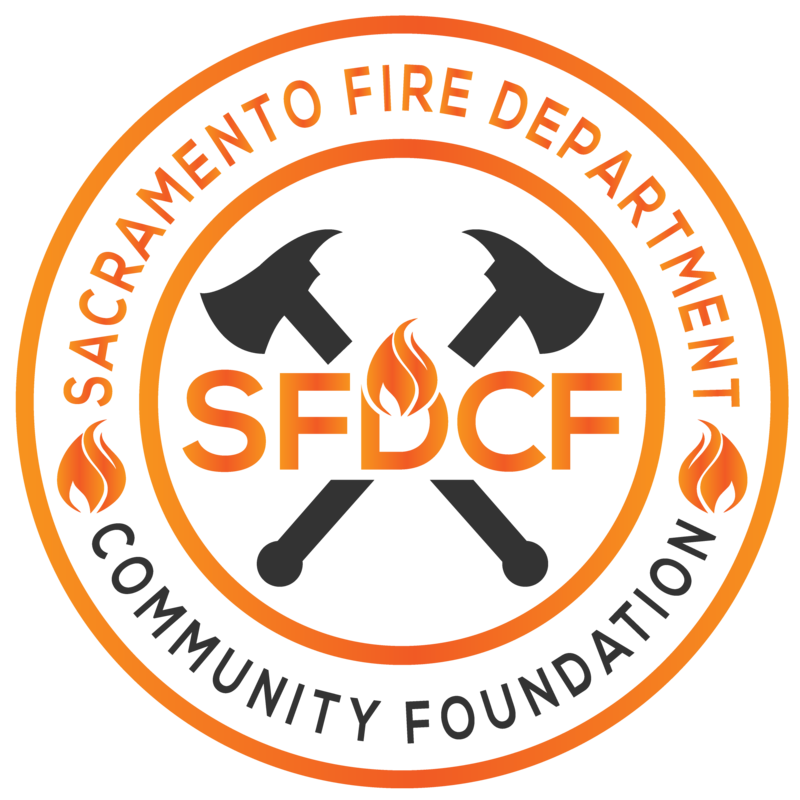 In 2013 the Sacramento Fire Department established the Sacramento Fire Department and Community Foundation (SFDCF), a 501(c)(3) organization. In 2016 SFDCF adopted a resolution to establish Sacramento CERT as the sole beneficiary of funds raised. If you own a business or make the decision to donate for your corporation, please consider making that donation to Sacramento Fire Department and Community Foundation dedicated to Sacramento CERT. Both monetary donations or donations of equipment and supplies would be very deeply appreciated! To contact us regarding donations, simply email us at info@sfdcf.org.